Congratulations to R. A. Boykin who placed the winning bid of $1,750 for July's silent auction painting "Village Summer", by Konstantin K. Kalugin, estimated at $3,000- $4,000. 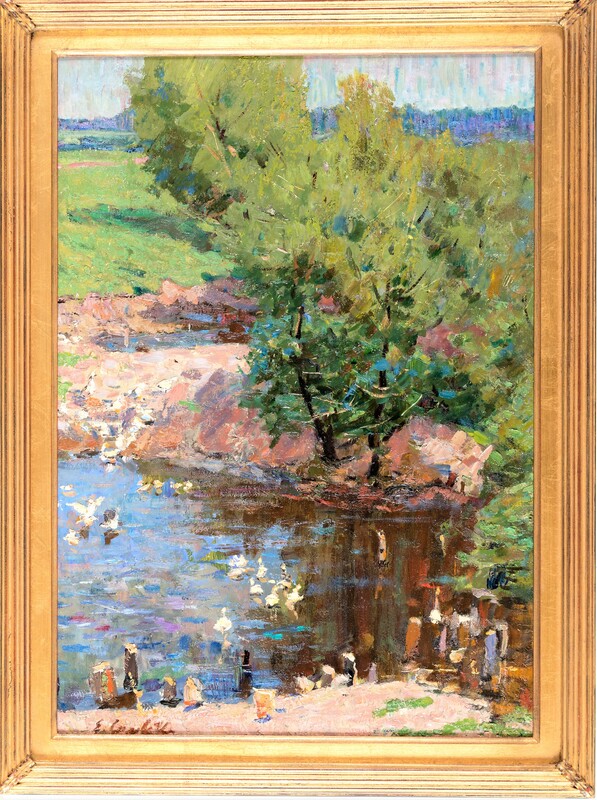 As our August silent auction selection we are pleased to present a wonderful impressionistic landscape, perfect for the end of the season, "Summer", by Yevgeni V. Solovyev, estimated at $4,000- $5,000. "Summer" is a true gem, reflecting a lyrical interpretation of the Russian countryside and is a beautiful example of Russian Impressionism after the Great Patriotic War (1941-1945). This period is considered by many art historians as one of the most romantic periods in the history of Russian Impressionism. After the monstrosity of the war, Russian artists painted the beauty and simplicity of the peaceful Russian countryside as a way to forgot the horrors they had lived through. Never before had there been so many paintings of childhood or poetic scenes of the everyday lives of the Russian people. 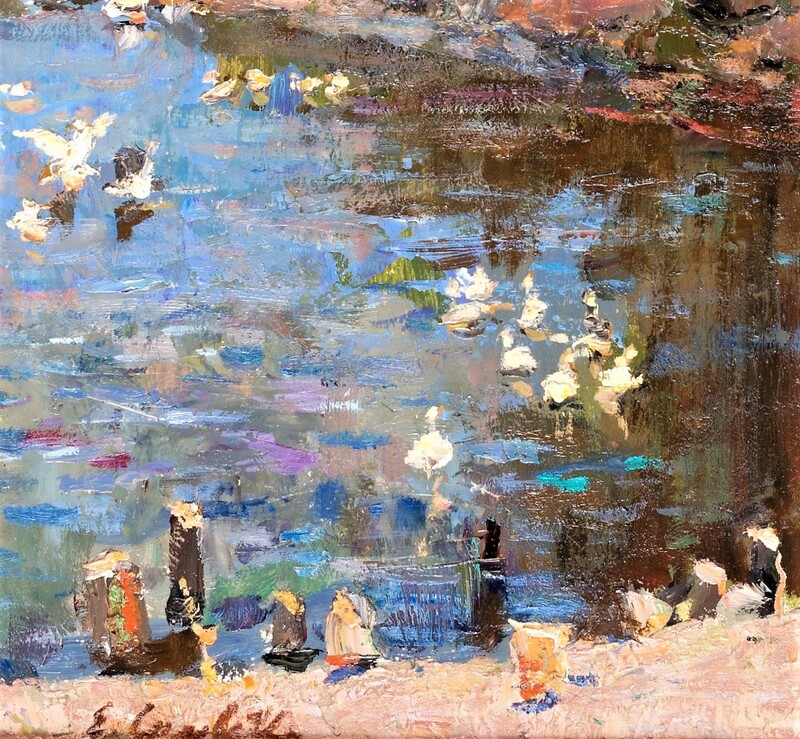 Solovyev lived through the war and his paintings, especially "Summer", are wonderful examples from this romantic period of Russian Impressionism. Born and raised in a small village, Solovyev enjoyed an idyllic childhood with his life centered around the outdoors and the beauty of nature. He painted the beauty and tranquility of the countryside from the heart. Solovyov is an Honored Artist of the Russian Federation 1997, a graduate of the Repin Academy 1959, and member of the Union of Artist's 1962. His works are in the Tambov Art Museum and in collections in Russia and abroad. We invite you to participate in this month's auction and thank everyone who placed bids last month. This is another exceptional opportunity to add a beautiful work by a noted artist to your collection. Estimated at $4,000 - $5,000, the current high bid is $3,000! The next bid is $3,250, followed by minimum bidding increments of $250. Remember, there is no reserve, at the end of the auction the high bid wins! Bids will be taken via telephone, or e-mail until 9:00 pm MST, Saturday, September 1st. Follow all the bidding updates on the Gallery's website. Yevgeny Vasilievich Solovyev was born in the Kruplyanki village of the Moscow region in 1931. In 1934 the family moved to the town of Gatchina in the Leningrad region. Here, Yevgeny spent his childhood and went to school. In 1959, Solovyev graduated with honors from the Painting Department of the Repin Institute of Arts and Architecture in Leningrad. In the same year he was offered a position at the Artist Union in Tambov, which he accepted and lived and worked there until his death in 2009. Since the beginning of the sixties, Yevgeny Solovyev's prime subject was portraiture, which he mastered in such works as "At the field" 1962, "School class" 1965. In 1962, the artist visited the Arzhensk textile factory, which resulted in creating the canvas "The Weavers" in 1964. A few years later Solovyev began to participate constantly in local art exhibitions, as well as, regional Union exhibitions in Leningrad and Moscow. In 1967, a series of the artist's paintings were exhibited at a regional exhibition dedicated to the 50th anniversary of the Great October Revolution in Central Exhibition Hall in Moscow. In 1969, he created a painting "The Partisans" which was acquired by Tambov Museum of Arts. In the seventies, together with a group of local artists, Solovyev took part in creating a series of paintings for the several cultural centers in Tambov, Michurinsk and concert halls in the several regional centers. In the middle of the seventies, the artist's one-man exhibition was held in the Regional Art Center in Tambov. The works of Evgeny Solovyov are in the Tambov Regional Museum of Local History, the Tambov Regional Picture Gallery, local history museums of Tambov Region, in state museums and private collections in Russia, England, the USA, France, Germany and other countries. Honored Artist of the Russian Federation. Studied at the Leningrad Art College (1948-1953). Graduated from the Leningrad Institute of Painting, Sculpture and Architecture named after I.E. Repin (1959) in the workshop of IA Serebryany. Participated in regional, zonal, republican, All-Union and international exhibitions since 1959. Author of thematic paintings, portraits, landscape and still life. Worked also in the genres of landscape and still life. Member of the Union of Artists of the USSR since 1962. The Tambov Regional Art Museum has a large collection of Solovyev's works. 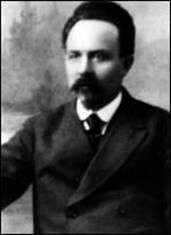 Solovyev lived and worked in city of Tambov. Solovyev's works have been published in various books and journals, including: "A Dictionary of Twentieth Century Russian And Soviet Painters." Matthew Cullerne Bown. Izomar Limited, London, 1998. Personal exhibitions: Tambov - 1972, 2001, 2013. Solovyev's works are in collections in Russia and abroad.